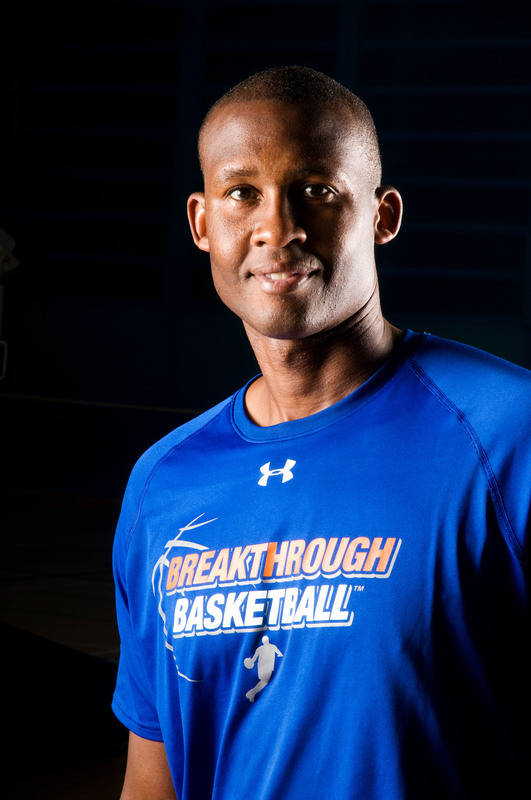 Breakthrough Basketball Elite Guard Camp in Burlington, New Jersey! This is a 3 day basketball camp in Burlington, New Jersey that will teach you the essential skills, techniques, habits, IQ and drills to become an elite player (to develop an elite mindset, which is what truly separates players.). You will learn what it takes to play at the elite level. Becoming an individual that can help your team succeed and understands the importance of the little things. You will improve your ball handling, shooting, passing, athleticism, decision-making, leadership skills, and scoring. Our Breakthrough Staff has trained some of the best players in the world that have gone on to become Olympic Gold Medalists, NBA All-Stars, WNBA All-Stars, Elite College Players (Michigan State, Duke, Kentucky � to name a few), and Numerous Player of the Year Awards at the high school level. And you will learn the subtle and sometimes unnoticeable things that are taught to and used by the world�s best players; players like Steph Curry, Maya Moore, Russell Westbrook, Diana Taurasi, Damian Lillard, Chris Paul, Kyrie Irving, and others. Who is this for? Is this good for players who are NOT guards? This is NOT for beginners. This is for intermediate to advanced players looking to be placed in a high-intensity environment with competitive drills. The camp is for players who already possess some good dribble moves and are looking to take their game to the next level. This is certainly not limited to guards. Every coach would love to have 5 players on the floor with the skills, decision-making, and leadership of elite guards. So if you are a wing player or a post player who is serious about elevating your game to the next level, this camp would be great for you as well. This is probably one of the most important aspects of being an elite guard, but it is rarely broken down and taught properly. Learn about the proper shin angle, head position, shoulder position, and hip position. In this camp, you will be challenged with advanced hand-eye coordination and dribbling drills that will challenge you and accelerate your feel for the basketball. These drills will make dribbling during game situations feel easy. Chris Paul and Steph Curry are two of the smartest players currently in the NBA. We have studied the games of these guards and will show tactics and little tricks that these elite guards use during games. For example, whenever Chris Paul and Steph Curry face a switch on a ball screen and they get a bigger slower defender on them, they almost always take two big dribbles backwards to create space and give them room to get forward momentum to attack the bigger, slower defender. Little tips like these will take you from being a good guard to an elite guard. You will learn how they handle ball screens, fast break situations, double teams, and aggressive pressure. Get to the next level by improving the lost art of passing. Not only will you learn advanced dribbling drills that will be extremely challenging, we will also introduce passing drills that will make you a much better passer in game-like situations. We will teach how to pass against pressure, how to read the defense and find the open guy, how to pass in transition, how to pass against double teams, and how to pass into the post. If you can handle the ball and make great passes, every coach will find a place for you on their team. You will learn how to properly move on the floor so you can make things much more difficult for your opponents. If you can focus on defense, stop your opponent from scoring, you will get playing time because your coach can�t afford to keep you off the floor. You will learn proper body position when guarding the ball, how to dictate what the offense does, and how to force them into low percentage scoring situation. We will teach you how to adapt to all of the different kinds of scoring guards to put the advantage back in your hands. You will get to see video breakdown analysis of some of the best basketball players in the world. You will see how they execute certain skills and make decisions on the basketball floor, so you apply it to your practice sessions to elevate to an even higher level of play. In addition, we will practice game-like shooting drills, scoring from the guard position, and advanced dribble moves that all great guards possess. In addition to teaching you the necessary physical and mental skills to be a great guard, we will teach you leadership and life skills that will make you a successful human being. We will teach you traits that some of the best players have, why that makes them successful, and how these same traits will help you be successful in life. We will also teach you traits from some of the most successful people outside of the basketball world that will make you successful in the real world in any career path you may choose. No matter how far you make in the athletic world, there is always life after basketball. The camp is for male and female players from 7th to 12th grade. This is not limited to guards. If you're a wing player or a post player who is serious about elevating your game to the next level, this camp would be great for you as well. This camp is NOT for beginners. This is for intermediate to advanced players looking to be placed in a high-intensity environment with competitive drills. This is for players who already possess some good dribble moves and are looking to take their game to the next level. Coaches that want to learn and pick up new drills can also observe for a fee (coaches can find more info below). H.S. Leading scorer in the state of Florida senior year averaging 32 points per game. Magic Johnson�s Roundball Classic, a national high school all-star game. 1994: Florida�s Gatorade Player of the Year. The player chosen for this award is evaluated and selected on the basis of outstanding athletic excellence, high standards of academic achievement and exemplary personal character demonstrated within and beyond competitive athletics. 1995: Represented the United States in basketball at the Junior Olympics in Athens, Greece. 1994 � 1998: Accepted Scholarship to play at Indiana University at Bloomington under legendary Coach Robert Montgomery Knight. Played all 4 years and graduated with a B.S. degree. 1998 � 2004: Played basketball professionally across Europe and in the U.S. The camp is for boys and girls from 7th grade to 12th grade. Otherwise there is a $97 fee to attend as an "observing coach". You will get to learn new drills and techniques from Charlie Miller, just like all the players and other coaches in attendance. Visit this link to reserve your spot as an observing coach. If you have any questions, don't hesitate to email us or request a phone call.